Every once in a while you stumble upon a Kickstarter that you simply must support. You watch the video, read the background on the creators, examine the pledge levels, and have no choice but to open up your wallet. In the Dark - A Horror Anthology is one of those projects. Click here and I dare you not to back this amazing looking project. The premise is rather simple, but astounding when you consider the talent associated with the project. 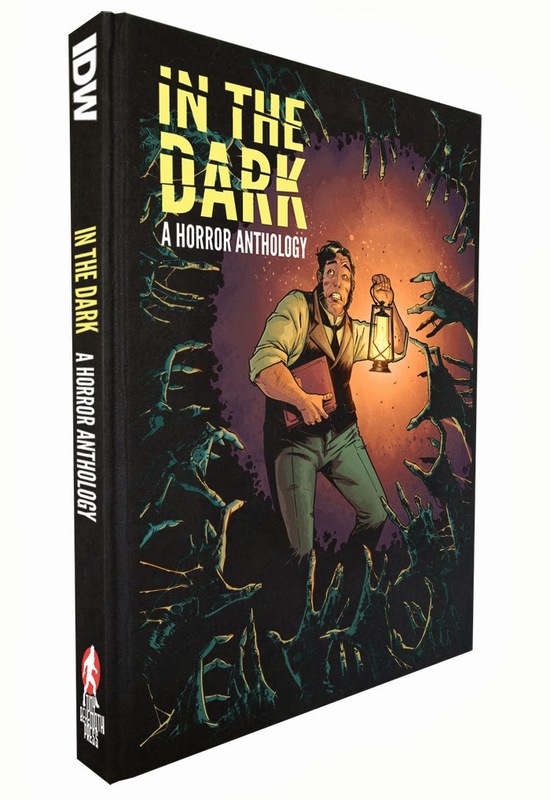 It is graphic novel comprised of 20 all new horror stories penned by Cullen Bunn, Sean E. Williams, Rachel Deering, Justin Jordan, Michael Moreci, and more. Artists include Marc Laming, Christian Wildgoose, Andy Bellanger, and more. As if that weren't enough to warrant a purchase, it also includes a feature from comic book historian Mike Howlett on the history of horror comics. IDW is offering its services to help with the logistics of printing, etc. so you can rest assured that this book will be of the highest quality. Most of the higher tiered pledges got scooped up quick, but there are still a few great ones if you are feeling generous. If I had deep enough pockets I would have secured the original Artful Daggers story from Sean E. Williams. At the time I penned this the Kickstarter was around $4,000 shy of its goal. I feel confident that it will be funded and you should at least hop in at $10 for a digital copy of this gem. I have high hopes and feel that this creative team will deliver a high quality book that will be the crown jewel of my bookshelf. The hard part will be waiting until April to get my grubby hands on it. Once again, click here to check it out yourself.